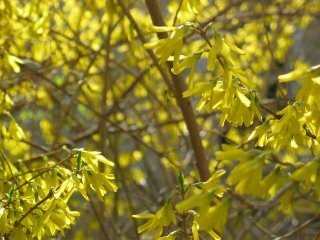 The forsythia in my yard is in full bloom - it couldn't be prettier! Photographing it is a fun exercise in composition and depth of field, too! I love it's yellow color! Beautiful shot! Lovely colour,Reminds of the Mimosa trees here on the French Riviera.They only bloom in Feb though. This is a lovely shot! I tried this morning, but mine came out all blurry, lol! They are one of my favorites to show that spring is really here! 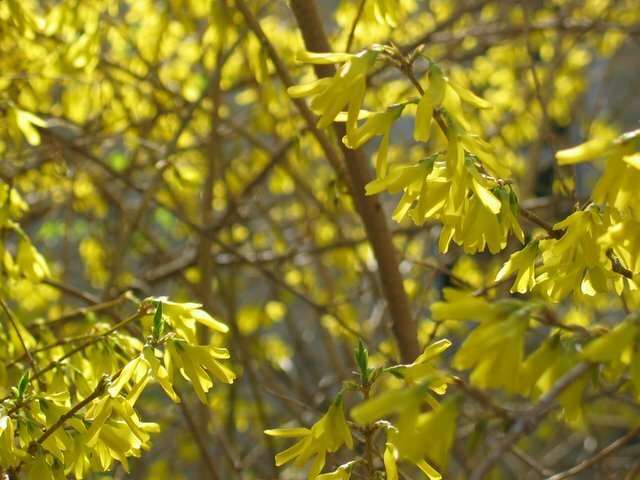 Forsythia is blooming here too!